Danny Sauter of Bamboo is offering the space his team is moving out of. 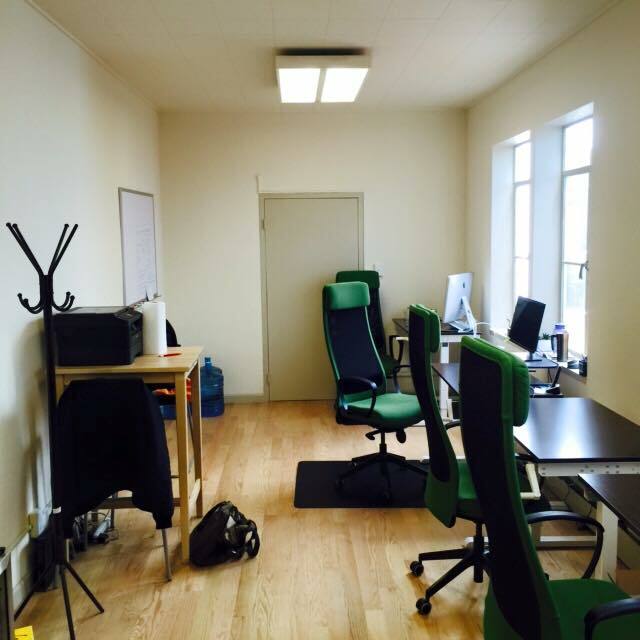 We’re moving to a bigger office and are looking to fill our old space. It’s right at the intersection of FiDi and North Beach in San Francisco, and is for a team of 3-5 people. Rent will be around $1,200/ month. Contact Danny for details. Aaron Perman of Pristine is offering an office in downtown Austin, Texas with great views overlooking the capital. Contact Aaron. 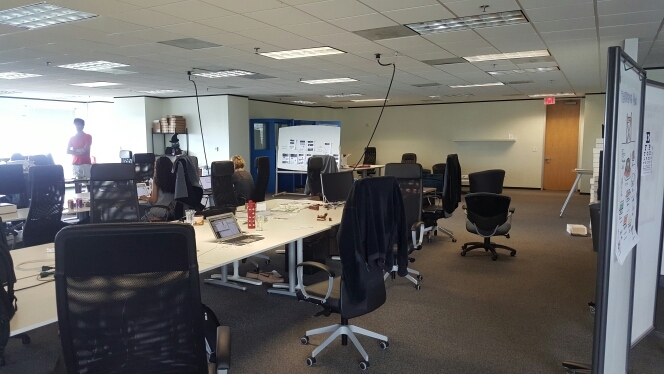 The space has an open work area with 3 conference rooms, 3 phone booths, a break room/kitchenette, and a pool table. Have space for a tenant with 8-10 people. It can be configured to give tenant dedicated desks in their own area with shares used of the conference rooms, phone booths, and beak area (within reason). Looking for a 6 month or longer subletter. Dave Miller of PivotDesk is offering a communispace in Boston that has 29 seats available at $550 per seat. Learn more about this space. Shared use of conference rooms and event space. 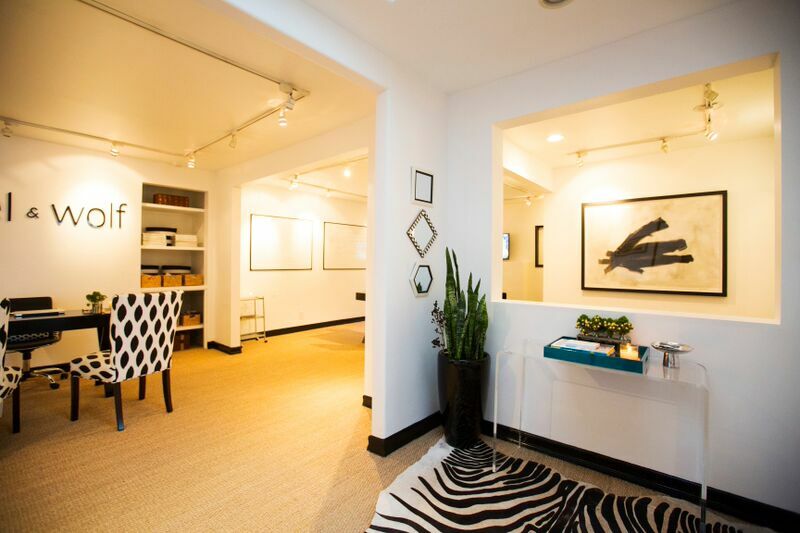 It includes a kitchen with kitchen supplies, use of office supplies, use of Communispace Wellness Center and activities (including massages and manicure services). 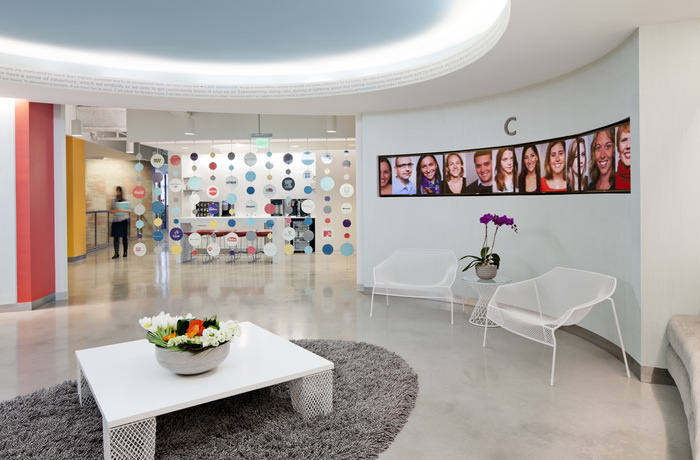 It was recently featured as one of the coolest office spaces in Boston. Brandon Kleinman of Lauren & Wolf is subleasing parts of their two offices. Below is a photo of the one at 636 N. Almont St in West Hollywood. It is a short-term lease, 1,500 sq. ft., includes a kitchenette, at $5,500/ month. For more details on both spaces, contact Brandon. Wyatt Cavalier of The Honest Office curates seven office and team related articles in the latest issue of The Honest Office weekly newsletter. Want to feature your product in our community? Submit your perk. mParticle is a data and integration layfor for mobile so apps don’t need to implement multiple SDKs. Implement once and send your data to over 65 different services with the flip of a switch. Mention Mattermark to cberman@mparticle.com and receive 30% of the developer plan. Inkmule provides ‘better, cheaper, faster custom apparel and merchandise for startups. Mention Mattermark to lou@inkmule.com for 10% off all merchandise and apparel. Bombas are ‘mind-blowingly comfortable’ athletic socks made with soft Prima cotton. They donate a pair to those in need for every pair purchased.Take 20% off your first order of any size with code MATTERMARK20. Wonolo is an on-demand platform for businesses to fill their temporary staffing needs. Fullfillment, admin, event staffing, and more. ContactAJ@Wonolo.com for $25 off your first job posting. Better prodives personal health assistant services, taking all the stress and complexity out of healthcare. From insurance and appointments to medical bills and 24 hour nurseline. One free month and 25% off for LIFE with offer code “matter”. Contact Geoffrey Clapp to redeem. Agorafy is an open, online platform sharing commercial and residential real estate data, verified listings, and property information throughout New York City. For a limited time, register for a free account. Contact to redeem. CrazyEgg uses heatmapping technology to help website owners optimize for conversions. Enjoy 90 days free of CrazyEgg with this link. Roomino simplifies your team travel management: imagine all your loved travel apps in one place. Contact Angela@Roomino.com for 1 year access to exclusive B2B hotel rates.